Welcome to the Mount Roskill Saints Australian Rules Football Club. 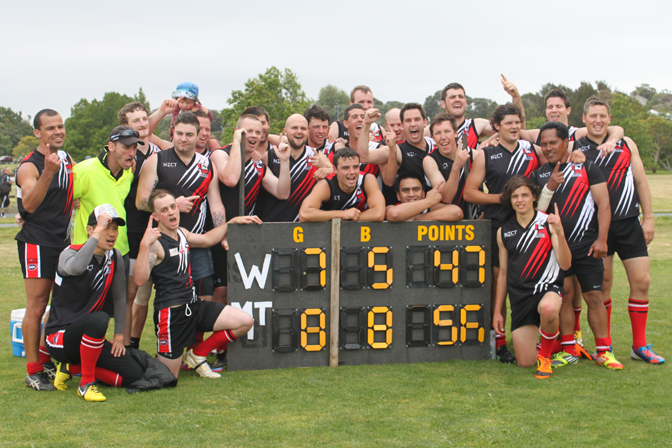 We are based in central Auckland and compete in the AAFL (Auckland Australian Football League). We are always looking for new players of all levels of experience. We provide full coaching and a fun environment to keep fit, and play an exciting fast paced team sport. If this sounds like you, then contact us or even just show up at our next training session.